Emailing is a critical communication channel for any business, whether it is a small or mid-level company or an enterprise. There are many paid and open source email solutions that help businesses improve their internal and external communication channel. Not all email solutions, are capable of working at the same efficiency and come with similar features. When looking for email solutions, businesses often find it difficult to make a choice between Zimbra and Gmail – the two most widely sought email solutions. 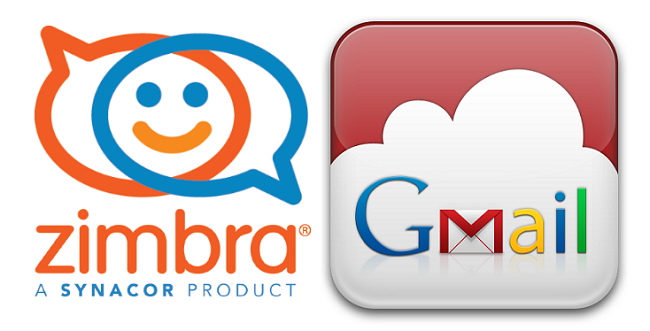 To help, this blog talks about the finer lines of comparison between Zimbra vs Gmail. Comparing Zimbra vs Gmail – Why Zimbra for email hosting services? Zimbra is an open source software, which means businesses are free to modify the code according to their needs. When it comes to Gmail,it has specific template style design, which cannot be modified. Another advantage of Zimbra is its easy-to-use interface. Similar to Gmail, Zimbra works on Mac and Windows. If a business is looking for an email solution that is compatible with Linux and Unix, they need to choose Zimbra. It runs on all browsers and is compatible with all major mail clients. Businesses often give their employees the flexibility to work from their smartphones and the email solutions are compatible with mobiles. Zimbra has apps for iPhone and Android, while Gmail has apps for iPhone, Windows Phone, and Android. The synchronisation of Zimbra is, however, superior to other email software. Data security is one of the worries of enterprises. Both Gmail and Zimbra have SOC 2 certification, HTTPS encryption for all pages, encryption of sensitive data at rest, multi-factor authentication options, and data backup in multiple locations/GEO regions. Many businesses are not comfortable to use Google to manage their private data over Google. Zimbra provides the required level of privacy and security to small and large businesses. Zimbra is affordable to use as it provides space for messaging, open collaboration, community building among users, and online private social networking. If we compare the feature benefits of Zimbra, they definitely outnumber the advantages of Gmail. It is an ideal enterprise grade email solution with rich AJAX based UI, easy migration/deployment, and options to deploy hybrid solutions. If you are looking for Zimbra email hosting services, feel free to get in touch with the team at i2k2 Networks. We are the trusted mailing service provider of clients spread across the globe.